Meet Hala, an energetic professional who exudes charisma as she mingles with guests and poses for photos from high above the crowd. This ebullient artiste is not only watching us from on high, she is also the creator of the many beautiful costumes she wears for her performances. Hala Zabaneh was born and raised in Toronto, Canada. Her father Nicolas Zabaneh, immigrated from Ramallah at the age of 18 and studied business at the University of Toronto. He is currently managing director of Desjardins Financial Security Independent Network. When he moved to Canada, he anticipated better life opportunities and a more peaceful life. Hala’s mother Andrea Haddad was born and raised in Toronto. She is a musical hobbyist and former French teacher of Lebanese and Syrian descent. Growing up, Hala’s parents were supportive and encouraged her to freely express her individuality. Staying connected to her roots wasn’t easy in Canada. Not only was she disconnected from Palestine, her maternal grandfather Albert Haddad, arrived in Canada at age six, apparently through the Golan Heights on a donkey and her maternal grandmother Claire Haddad was born in Toronto. Connecting to her heritage wasn’t easy. My mother never learned Arabic because in those days it wasn’t good to stand out and speak a foreign language so my brother Christopher and I never grasped the language either. My grandmother tried her best to preserve Levantine traditions through food. Even though there were no Middle Eastern Super markets in those days, she would do her best and even made her own yogurt with milk powder and a microwave. Despite the difficulty of preserving their heritage living in Toronto, Hala and her family spent a lot of time at the Antiochian Orthodox church. My parents felt the church was an important way to stay connected to the Levantine culture and community in Toronto. 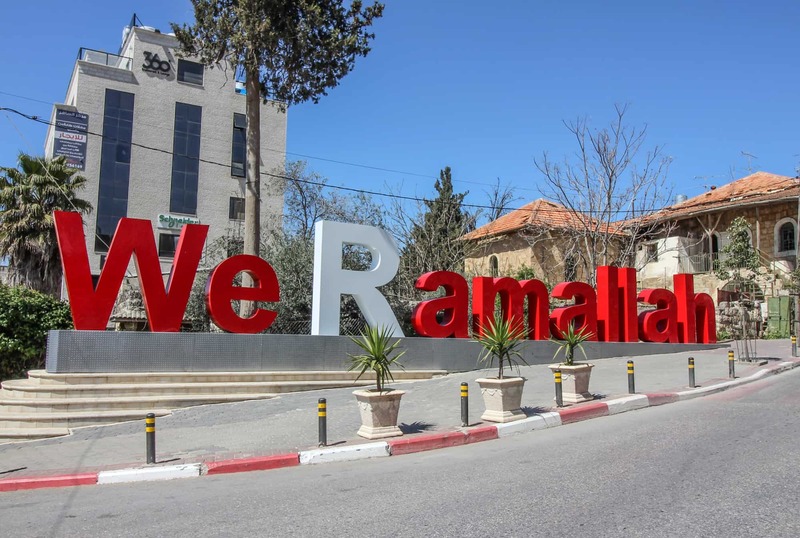 When Hala was 14 years old she traveled to Ramallah for the first time to visit her grandparents but didn’t have a good experience. I found it too conservative and very depressing. I felt suffocated and didn’t feel I belonged there, so I never went back for a very long time. After 18 years she reunited with her family in Palestine, deciding it was important to stay connected to her ancestral homeland and spend time with her last surviving grandparent. It was a very emotional trip for me, but I am so glad I made the decision to go back. I traveled around and explored all the sites and spent time with my grandmother and extended family. I enjoyed every moment of the experience and now I try to visit as often as possible. 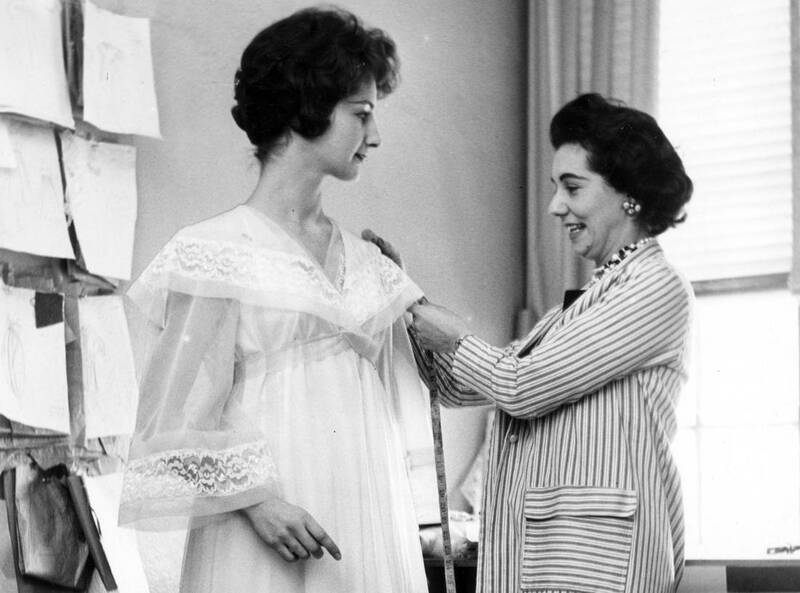 Hala’s maternal grandmother Claire Haddad was a renowned Canadian fashion designer whose elegant feminine creations were influenced by her Middle Eastern cultural heritage and adored by Hollywood’s top stars, like Elizabeth Taylor. She won the Order of Canada for fashion design and the Canadian fashion industry. Like her grandmother, Hala has always loved expressing herself through fashion but never followed in her footsteps. She instead studied Women Political Studies at Trent University for her undergrad and later achieved a Masters of Education. More recently she gained a Natural Health and Nutrition Diploma, along with a Financial Management Certificate. Women Studies gave me a language to interpret the world around me and express how I was feeling from a both historical and pluralistic lens. When you’re given roles that are predefined, I found it helpful as a life tool to define these for myself. After completing her undergrad Hala moved to Montreal to improve her French and began to explore her artistic side. She noticed how much more profound the arts were in Quebec and wanted to stay there longer. There, she was introduced to circus performance. I became fascinated with circus performance and I learned to do all kinds of acts, such as manipulating fire. I eventually became obsessed with stilts. The first time I saw a stilt walker, it blew my mind. 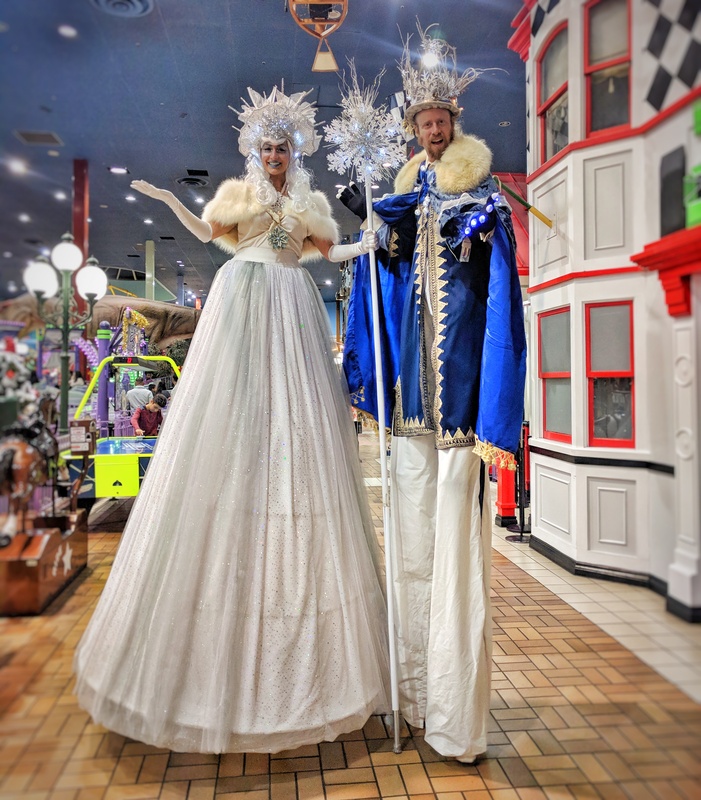 I loved that the character of a stilt walker was more important than the act itself and people connected with that. Hala stayed in Montreal for a few years performing circus acts and playing Brazilian drums at festivals. Her parents were concerned about the sustainability of her artistic free-spirited lifestyle and eventually she realized she needed to have a secure job if she wanted to support her creative spark. Hala returned to Toronto and began working with her father with insurance and investments at Desjardin Financial Security. Never leaving her artistic flare behind, she has created an insurance program for individual performers who need liability coverage for their shows and it’s growing every year. I believe behind each costume there is a character that is more fascinating than the circus tricks. The costumes just brings the character out. Eventually she would like to be part of re-enlivening her grandmother’s once prominent fashion line and fine-tune more of her fashion designing skills. My life is bursting with possibilities right now and I am grateful because it allows me to live in the present and explore all my artistic capabilities.